The more heavily populated areas are either under Syrian government or Islamist opposition control who won't be parties to ceasefires that aren't to their advantage. This is the first in what will be a regular weekly post from the Lowy Institute’s West Asia program to bring Interpreter readers up to speed with the latest issues in the Middle East. The Syrian safe zone concept is getting less clear by the day. In January President Trump said that he 'would absolutely do safe zones' in Syria. 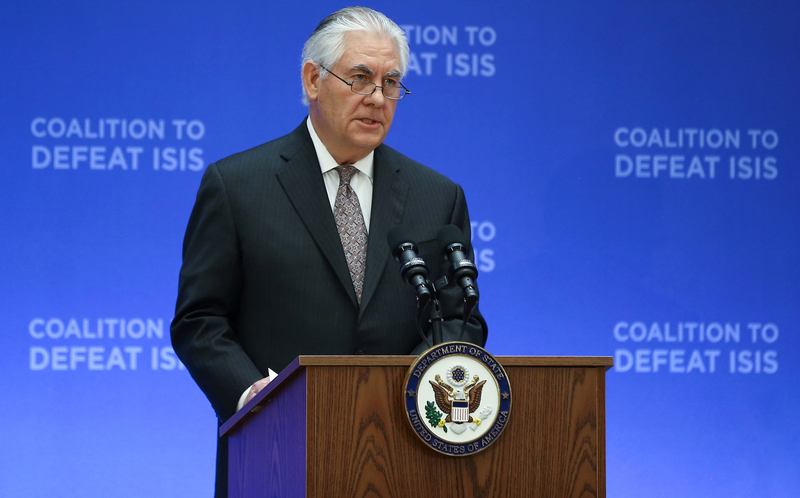 Little has been heard since, but Secretary of State Tillerson told the 68-nation anti-Islamic State coalition meeting held in Washington last week that the United States would set up 'interim zones of stability' through ceasefires so that refugees could return home. While there are few details to discuss, the subtlety of language may be telling. On the face of it, 'interim stability' appears to set the bar somewhat lower than 'safe' and hence require fewer resources. The concept of stability being gained through local ceasefires is also something new, raising the obvious question of who these ceasefires are going to be negotiated with. It may be possible to do this with the US-supported, Kurdish-led Syrian Democratic Forces (SDF) in areas in north-eastern Syria. However, not only is it questionable as to how the US will be able to broker local ceasefires – either with or without the SDF – but these areas contain only a relatively small portion of the Syrian population and as such won't do much to alleviate the regional refugee issue. The more heavily populated areas are either under Syrian government or Islamist opposition control and they are hardly going to be parties to ceasefires that aren't to their advantage. Russian Foreign Minister Sergey Lavro has said that while Russia was not privy to any details, it was open to the concept – as long as it were approved by the Syrian government. The Syrian government, for its part, has called the concept of such zones as a violation of national sovereignty. And then there is Turkey, whose president has previously been an advocate of no-fly and safe zones providing their location fulfilled Ankara's Syrian policy goals. Top of that list was toppling Assad. Now that's failed, the priority is to stop the creation of a de facto Kurdish area of influence on its border. It may well be that the interim stability zones are not contiguous and rely on both SDF and Turkish, or pro-Turkish, militia-brokered (and enforced) ceasefires. The US planners involved still have some very tricky questions to answer including: exactly what the aim of such zone(s) will be; their legal basis; how and by whom they will be administered; and what their relationship will be with the Syrian government in Damascus - and its Russian and Iranian allies - as well as with the various non-IS Islamist opposition groups. I wish them luck. Trump is a demagogue straight out of Thucydides or Plato’s fears about democracy: unstable, vindictive, lazy, short-tempered, self-aggrandising, and narcissistic.